Just as we are heading into the festive season, now may be the perfect time to pick up some dapper party attire. Good thing Moss Bros have a sale on a range of suits for £79 Delivered! 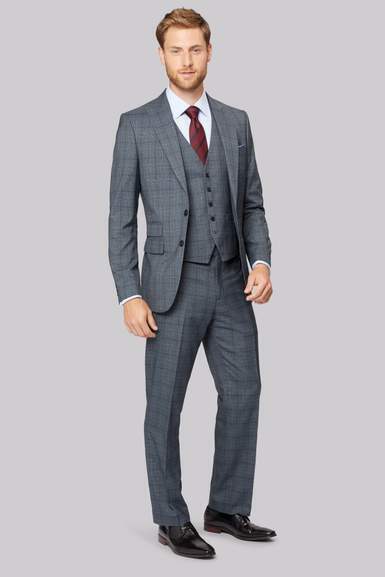 £79 Suits are available on selected 2 piece suits only from 00:00 Tuesday 24th October until 23:59 Saturday 28th October. Waistcoats are available on some lines but not included as part of this offer. If you sign up to receive their emails you get 10% off. I bought one of these suits last time they were on offer and tbh they're just about ok for £79, certainly wouldn't pay any more than that. Brilliant thank you, just made a purchase. 15% off for students worked, got a waistcoat too so was 85ish with postage which isn't bad at all. Edit: also 5% quidco and 10% topcashback for new customers (6% for existing) so potentially up to 30% discount with the referral and the topcashback new customer offer! Would make it £56.88 for a suit after discount and cashback! Must be sad having to live your life constantly feeling the need to impress other people.